At the beginning of August, 1,584 counties in 32 states had been declared disaster areas due to the ongoing drought affecting the United States. Southern Minnesota has recently received enough rain to move to from the status of 'Drought - Severe' to 'Drought - Moderate' or even 'Abnormally Dry'. 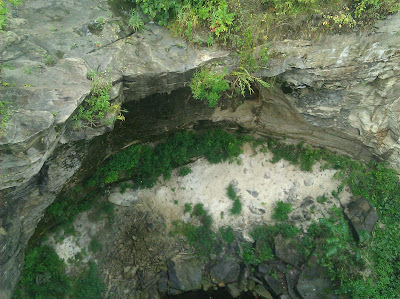 The dry summer months has caused numerous problems, least of which is the drying of the regions waterfalls. Minnemishinona Falls and the nearby Minneopa Falls are dry, or nearly so. 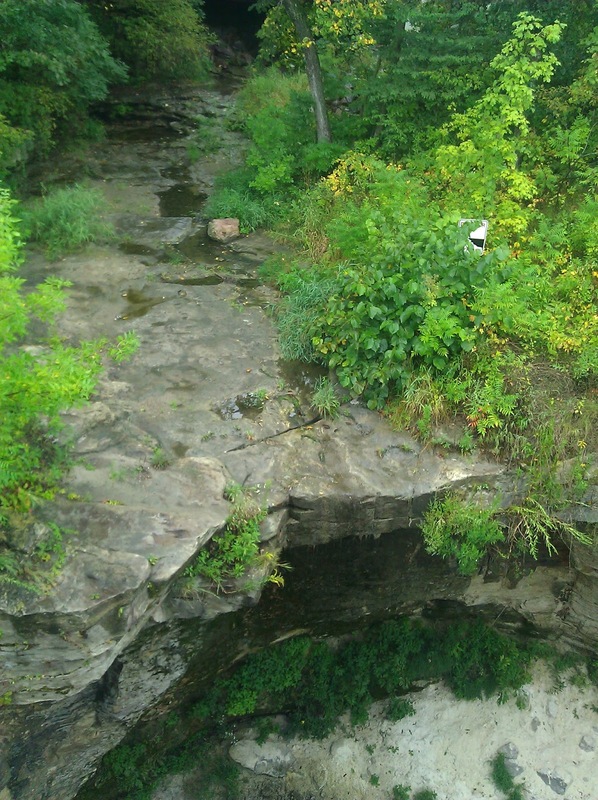 Both falls occur as water falls over the late Cambrian-aged Jordan Sandstone. 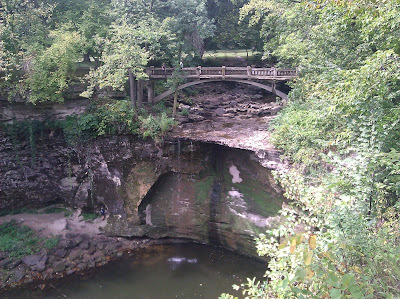 Differential cementation in the sandstone forms the falls, better cemented areas form the top of the falls while while weaker cementation areas are easily eroded at the bottom of the falls. 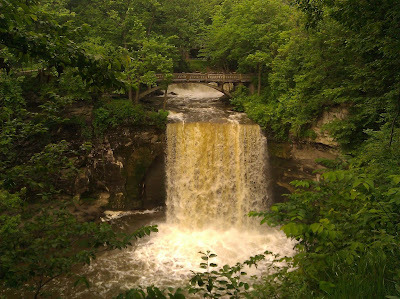 The picture below shows Minnemishona Falls on June 2, 2012. Not a high flow rate, but still flowing. The picture taken on August 4, 2012 shows the falls dry after two months of very little rain. It is apparently not unusual for this particular waterfall to go dry during late summer months due to the creek's small watershed. Minneopa Falls is a regional tourist attraction for the beauty of the falls. The picture below was also taken on June 2, 2012. 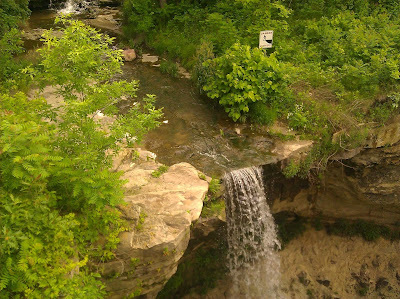 Two months later and there is hardly a trickle of water flowing over the falls.